Industrial waste is simply a catchall term for the undesired by-products of industrial activities such as mining and manufacturing and the nature of many industrial operations can lend itself to some highly-challenging obstacles when it comes to the safe handling, collection and disposal of waste materials. They can be categorized under major categories such as highly toxic, corrosive, or reactive.In many cases, the waste may have hazardous and/or environmentally-harmful properties that require stringent attention to safety, compliance and environmental protection where, improper handling and disposal of them can contribute to increased incidents of serious medical conditions among the human residents of the local region. Therefore, an effective waste management system needs to be in place that can actively manage all types of industrial wastes and recyclable materials. Industrial waste management is a process which involves collection, segregation and disposal of waste and contaminated substances in a safe and convenient manner ensuring environmental goals. At TRAIBCERT, we understand that, each business is unique in their waste management requirements and our mission is to help you cut costs whilst enabling you to achieve organizational benefits.With this in mind, we are confident that our range of commercial waste and specialist hazardous waste services will meet your requirements perfectly with our team of experienced specialist who can assist you to find the best methods in waste disposal ; whether you are a small industry operating in a one-off request, or an industrial facility with frequent large volumes of construction, hazardous or liquid waste.With the necessary resources and expertise to continuously assess the economics of the disposal market and track technical developments we are very much familiar with the disposal service market and with statutory waste disposal requirements. 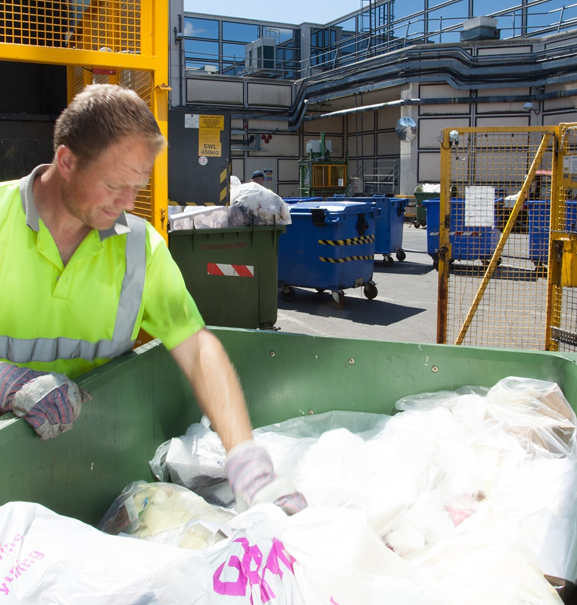 Our approach is customer focused and, based on the required service and delivery our team of experts will work with you to find the most suitable waste management solution tailored to your individual needs. With expertise in both hazardous and non-hazardous waste management services, we offer our clients a complete waste service for the reduction, recycling, re-use, recovery and disposal of waste.